Bull Moose. Gros Ventre. Grand Teton National Park. Young bull Moose. Gros Ventre. Grand Teton National Park. Cow Moose. Gros Ventre. Grand Teton National Park. Cow Moose and calf. Gros Ventre. Grand Teton National Park. 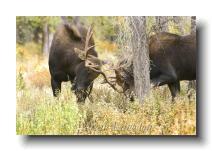 Bull Moose and young bull. Gros Ventre. Grand Teton National Park. 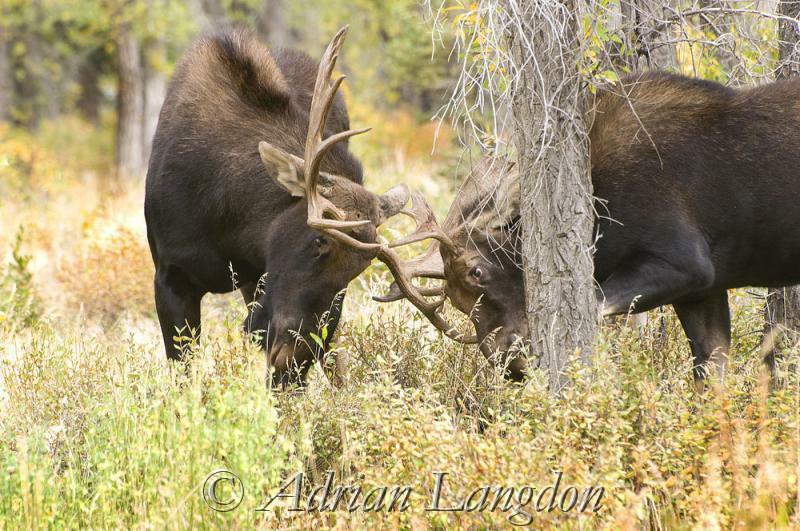 Bull Moose and young bull sparring. Gros Ventre. Grand Teton National Park. Young bull Moose crossing the Gros Ventre river early morning. Gros Ventre. Grand Teton National Park.